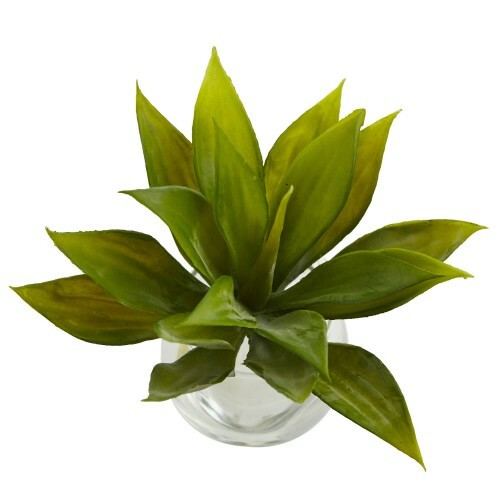 Put these trendy succulents on your desk, countertop, or side table. 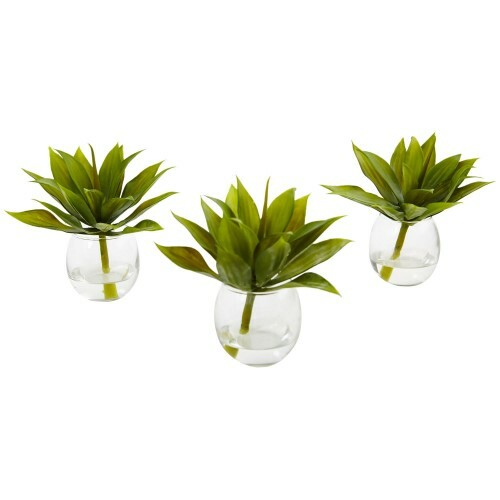 This set of three agave succulents look as if they were floating on top of their small glass vases. 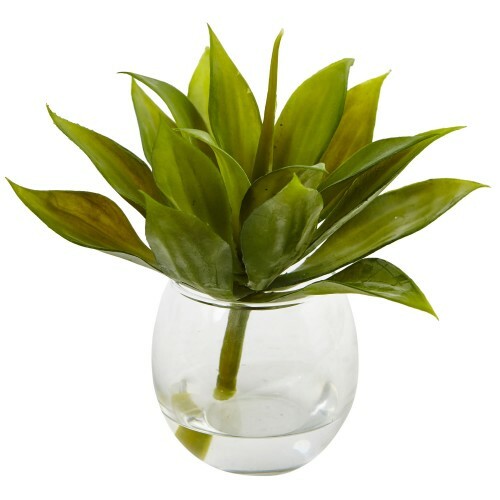 The shiny green leaves are spiked up and out to display their texture. Vases are filled with liquid illusion to give these small arrangements a realistic look. H: 2.5 In. W: 2.5 In. D: 2.5 In.